We offer expert advice on all aspects of Wills, Trust and Inheritance Tax planning. We provide advice to a broad range of clients and frequently advise several generations of the same family. 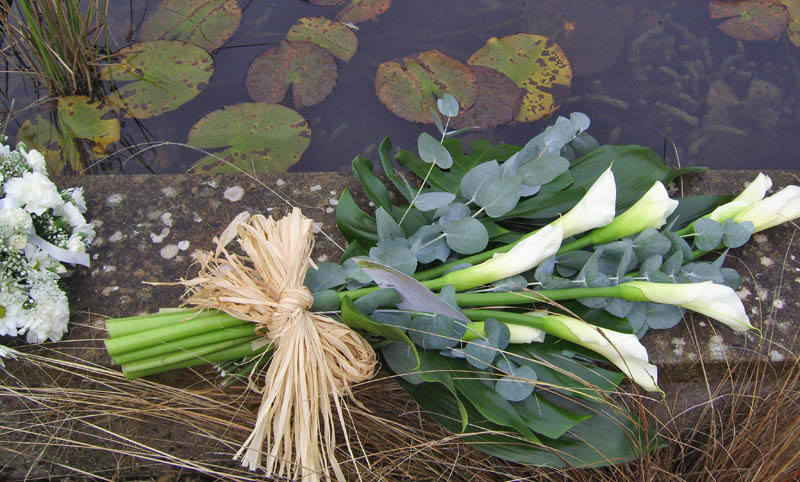 Our kind, independent and practical support means many clients return to us again and again as their circumstances change and trust our advice when bereavement strikes. 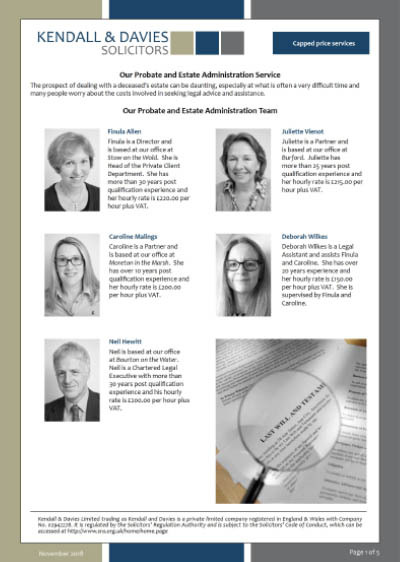 We also specialise in advising on all the issues which are of particular concern to our older clients and their families, from dealing with the impact of failing health, through Lasting Powers of Attorney and dealing with the Office of the Public Guardian, to helping to plan for long term care and advising as to ways of reducing the impact of Inheritance Tax on the future generations. Pricing guidance for Probate and Administration of Estates is given in this PDF which you can view and/or download by clicking it. Kendall and Davies is the trading name of Kendall and Davies Ltd registered in England & Wales under company number 2942278. The registered office is Station Road, Bourton-on-the-Water, Cheltenham, Glos. GL54 2AA. VAT Registered: 274 7888 95. Our offices are open from 9.00 am to 5.00 pm Monday to Friday. We may arrange home or hospital visits if you are not able to travel to us. All our offices are in traditional Cotswold buildings. If you are disabled and have specific access needs, please let us know so that we can make suitable arrangements to see you. Local parking facilities are available near each office. Any information on this website is for general guidance only and does not constitute any kind of legal or professional advice, which if required, should be formally sought and obtained. © 2019 Kendall & Davies Solicitors.